October 26, 2018Let’s be honest. Trying to apply false lashes for the first time can be an utter nightmare. A concept that appears so quick and simple can often leave us looking and feeling like we’ve just auditioned for the next Halloween movie. Getting that false eyelash to look natural has always been our downfall, and we’re always wondering how they get it looking so great on TV. Well, here’s where we’re here to save the day (and night).But quickly, have you ever considered going pro with eyelash extensions? If you’re ready for that next step and want a qualification out of it, then jump on to our eyelash extension course and get all the training you need to get you on your way for a new career or change of hobby today.Our infographic below gives a handy step-by-step guide on how to apply false eyelashes to yourself delivered by lash expert Loreta Jasilionyte, ideal for beginners that have just got their hands on their first pair. We’ve also thrown in a few tips underneath because well, why not? Complete Step-by-Step Expert Guide to Applying False Eyelashes: 1. Identifying the right false eyelashes for your eye shapeDepending on your eye-shape, ensure you select the correct size strip lashes. For example, if your eye shape is hooded, then a longer pair of false eyelashes may be a better fit for you. If you have a more rounded eye shape, then go for shorter lashes that provide much more volume.Finding the perfect type of eyelash can be a bit of a chore in itself. If you’re purchasing them for the first time, then purchase a couple of styles in varying length and volume before seeing what is the best fit for you.2. Ensure a clean and well lit workspaceLook, I’ve had a number of issues when I find myself rushing my application of a false eyelash in a barely lit room with my friends waiting angrily that I’m half an hour late again.It’s easy to forget that we’re handling delicate pieces of material, using a glamcor light will help to ensure that you’re handling the lashes correctly and will ensure your application of the eyelash glue will be seamless.It seems obvious, but avoid leaving your lashes by an open window on a windy day and clear your workstation from dust. The extra few minutes in ensuring that your workspace is fit for purpose will prevent you from potentially hours of frustration in the future, trust me.Make sure you have your glue, tweezers, scissors and mirror in front of you before you get started. Fail to prepare, prepare to fail as the old saying goes.3. Use tweezers to carefully peel the lashes from the trayIt’s important here that you pick up the lashes from the corner of the lash band and avoid picking it up from the actual eyelash itself. This is because it will likely damage the eyelash before you’ve even had a chance to put them on.I know, it seems obvious, but sometimes the excitement can get to us all a little.We do a range of tweezers at Flawless, ranging from isolation, straight and volume eyelash tweezers. The different types vary based on the different requirements.For false eyelashes though, any pair will be fine. Just pinch them on the lash base and take care whilst you’re doing so, it’s easy to forget how delicate false lashes actually are.4. Get the length right!Do the lashes fit the length of your eyes? Amazingly, this is sometimes overlooked. Next thing you know, you’ve stepped outside the house looking like your eyelashes are growing out the side of your skull. It’s not a great look, I can vouch for that.To ensure a perfect fit, hold the lash against your own eye with the inner (thin) corner of lash over the point where your lashes thicken. If the lash is longer than your eyelid, cut off the excess at the outside edge.This can seem a little daunting at first and get quite fiddly. If you do need to cut excess lash then cut them from the bottom up. Cutting through the lashes may cause you to unintentionally cut a false lash or two that you didn’t intend to and you’ll leave them looking like they’ve had a bad day at the hairdressers. 5. Get the make up doneNow, if you are not using one of our Strip Lashes (it’s okay, we forgive you), then we need to get the base of our make up done. If you are using one of the Flawless Strip Lashes then you can skip this step, as mascara or eyeliner application isn’t required!Once you have your false lashes perfectly ready to be applied to your eyelid, add a layer of eyeliner and then a coat of mascara, as you would usually. Feel free to curl your natural eyelashes as well if you’re feeling that little bit ‘extra'.6. Apply the eyelash glueHolding the lash with tweezers, apply a thin layer of lash adhesive along the lash band. This seems like the easy bit but remember that like all adhesive application, less is more.Using an applicator or a small brush, apply just a thin layer of the glue along the lash band from end to end. The adhesive will be strong enough to ensure a long-lasting false eyelash. Then wait just a few seconds until the adhesive becomes tacky.One key thing here, do not apply the adhesive directly on the eyelid. The adhesive will dry out and the effectiveness of it will quickly diminish. You could also risk damaging your eyelid and eye.If the humidity of the room is above average, then you may be required to add a little more adhesive to the lash band to ensure full effectiveness. 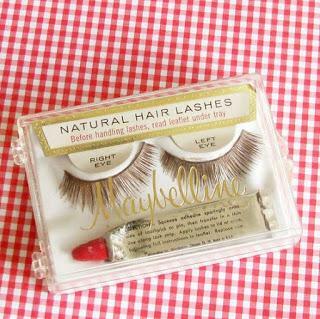 It’s also worth ensuring that your natural eyelashes are clean and clear of any ‘sleep’.7. Apply the false eyelashesUsing your tweezers, pinch the strip lash carefully in the center and from the front. Carefully place the lash band directly on the skin just above your own natural lashes. Gently pull down the false eyelash from either end to get as close to your natural eyelashes as you can.Once you are happy with the positioning of the lash, then apply gentle pressure across the lash band for a few seconds until it sets. Finally, hold the corners of the lash for a few more seconds to secure a fit.This bit can be a little nervy at first, but a gentle approach will ensure the best application. The trick is to secure the center of the lash band on to your eyelid and then adjust the positioning outwood.Avoid applying the eyelash from the corner first as this could lead to a misaligned eyelash and a feeling of hopelessness.8. Blend then blend again!Using mascara, lightly touch up the false eyelash to ensure that it blends in with your real lashes. You can also use eyeliner across the false lash band to give it a more natural and authentic look. Naturally, this is really apply as you see fit and no blending maybe required.9. Finish the lookUsing your fingertips, carefully push against the lashes to encourage the curve. This will help to give them the look of a little more volume and spruce them up before the big night ahead.Doing this for the first time can be a little daunting, and take a number of practices before you get it just right. With all applications, be gentle and patient in your approach. It can be a little frustrating, but soon enough you’ll be able to apply a false eyelash with your eyes closed..
Want to remove the eyelashes? No problem.The safest method to remove the eyelashes is to use a micro swab or an ear bud. Wet the swab slightly with water and gently brush across the bonding area. Or, if you’re sure that the strip lash is not bonded with your natural lashes, hold one end of the band and gently peel away. Place your lashes on the tray until you’re ready to bring them out again.Bonus Tips1. Want to retain the eye lash shape? Store the false lashes on the tray to preserve their shape. Then remove the excess adhesive with tweezers. 2. Have your lashes lost their curl? 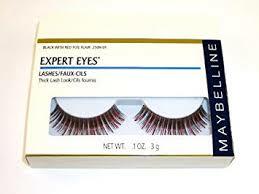 Before you even put the lashes on, moisten them, then place them between plain paper. Roll your wrapped lashes around a pencil and secure them with a rubber band. Leave for an hour or so until they fully dry out. Try this after use for the same results as well. 3. When is best to apply the lashes? They’re not known as ‘party lashes’ for no reason. These lashes always look their absolute best on their first outing, and we recommend giving them at least an hour to set on top of your natural eyelashes before the festivities begin.